Tubtito's proudly serves local and international restaurants, schools, theme parks and more. Need a quote or more information? Let us know and we will reach out shortly. When creating unique, sizzling pizza or mouth watering subs, your going to need our variety of dough that can make those bites come to life. Not only is it tasty, but cost effective. When on vacation, you indulge in where you stay and what you eat. Make it an all around experience by serving your guests quality ingredients with our product. We all want products that we can trust and most of all, ingredients you can pronounce. From freezer to oven, you know you are getting quality ingredients​ and consistency. 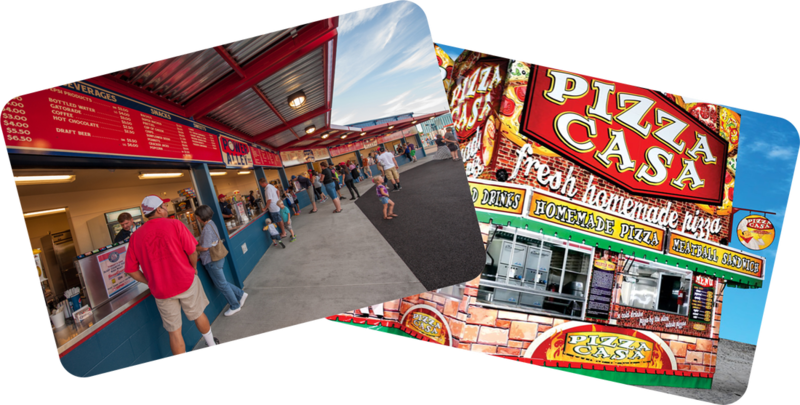 Pizza is number one when it comes to the "go to" food at concession stands. With a crowd favorite, you need the best, time tested dough and flat breads. Let us help serve your customers oven fresh products. Tubito's can deliver oven fresh products anywhere your business is located. Contact us and lets discuss the many opportunities. Pizza at sea is a dream come true. With our quality, cheese topped pizza, flat breads and dough balls, give your clients premium pizza with our variety of dough. Nothing screams pizza more than theme parks and recreation centers. The need for variety and consistency is what we can supply. Let us help you achieve that. Time tested and consistency is what makes the QSR industry successful. Tubitio's can make that happen for you and keep your customers loyal. Contact us and lets get started.